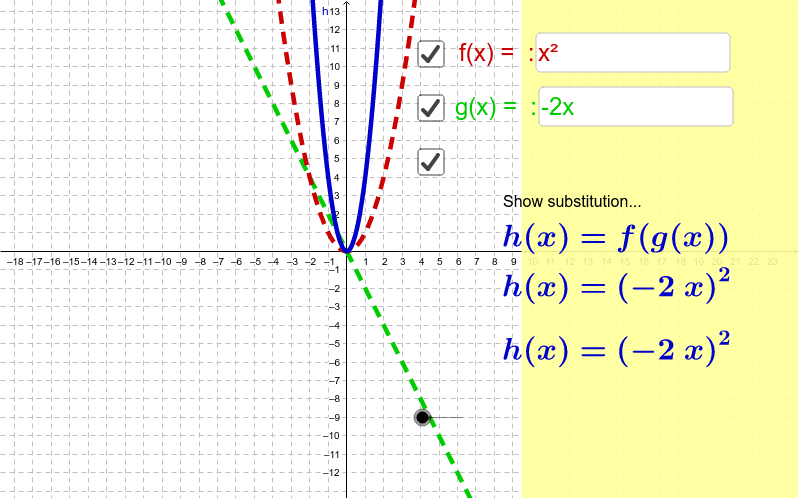 , you can enter equations of your choice by entering the function of x of your choice. Functions f(x) will graph in red, and g(x) will graph in green. The composition will displayed as h(x)= f[g(x)] and will display in blue. By clicking on the appropriate check box, you will be able to display each graph separately or together.